Three new members have been isolated and added to the Pandoravirus family by researchers at the Structural and Genomic Information Laboratory (CNRS/Aix?Marseille Université), working with partners at the Large Scale Biology Laboratory (CEA/Inserm/Université Grenoble?Alpes) and at CEA-Genoscope. 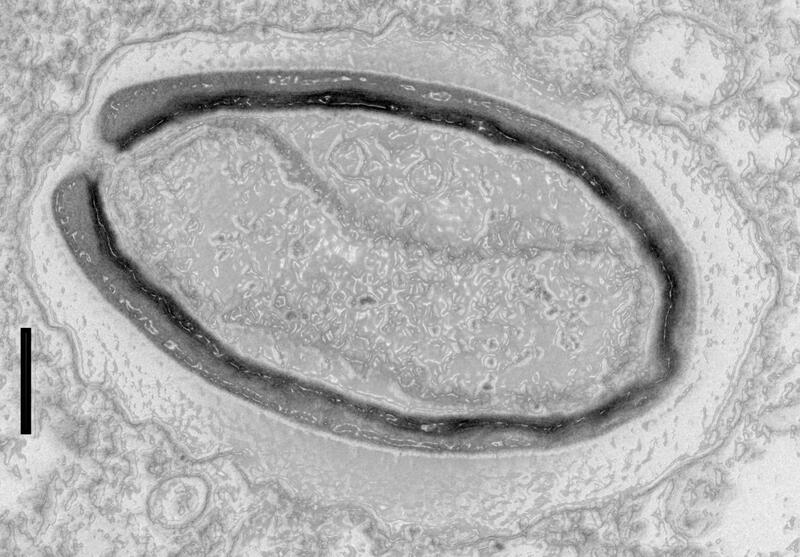 This strange family of viruses, with their giant genomes and many genes with no known equivalents, surprised the scientists when they were discovered a few years ago. In the 11 June 2018 edition of Nature Communications, researchers offer an explanation: pandoviruses appear to be factories for new genes – and therefore new functions. From freaks of nature to evolutionary innovators, giant viruses continue to shake branches on the tree of life! This research received funding from the Bettencourt Schueller Foundation, through the "Coup d'Elan Prize for French Research" awarded to Chantal Abergel in 2014. (1) Organisms whose cells contain nuclei, unlike the two other kingdoms of living organisms, bacteria and archaea. (2) Up to 2.7 million base pairs.